I'm really big on organic jewelry, and wear a lot of it. I'd been looking off and on for a matching set of conch and lobe plugs that were simple and classy looking to wear to work for quite a while now. I heard about Aesthetics through a friend on IAM and thought I'd check out their stuff. They have some really impressive custom work on their site, but I wanted something a little more simple. Their site is relatively new apparently, and there were some glitches in the program when I tried to place my order, but apparently that's all ironed out now. The plugs were shipped the day after I ordered them, and since I had paid the extra for express mail, they were in my hands within days of ordering! I couldn't be happier with them. The quality is amazing, and it's so nice to have a subtle but classy pair of organic plugs to wear to work instead of my old stand-by steel eyelets. Custom service regarding the glitches on their webstore was excellent, and I even got an e-mail double-checking the sizes I wanted before the plugs were made since I had specified somewhat of an irregular size. I only have a couple minor complaints. 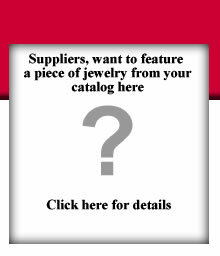 Maybe it was just me, but on the main page of their website, I overlooked the link to the online store, and at first couldn't figure out how to actually purchase any jewelry -- I only saw the link to their custom jewelry portfolio. Not sure if it's obvious and I just missed it, or if it's a little too subtle, but it stumped me for a minute! Also, the webstore kept forcing me to choose express shipping at checkout (which I eventually decided to just use anyway as I didn't want to wait!) but it made it hard to get other shipping prices. I was assured that was a temporary glitch and was fixed, but I haven't ordered again since, so I'm not 100% sure. All in all, I couldn't be happier! The service was great, the product is great, and I love having plugs custom-made to the length I wanted. I've got pretty thin lobes and get tired of extra jewelry hanging out all over the place. On top of all that, as a vegan, I love supporting a store that's owned by like-minded individuals. I will definitely be ordering more jewelry from Aesthetics in the future...I've been eyeing the heart cut-out plugs and am pretty sure I'm going to need a pair of those to add to my collection. They have a combined site for their shop and their jewelry store at aestheticsbodymod.com -- if you're dense like me and can't find the webstore, it's located towards the bottom of the main page.